A Nigerian lady by the name of Euriel I. Mazagwu is continuing to deceive the people of Atlanta by exhibiting fraudulent activities and duping girls of a title they have not really won. Euriel I. Mazagwu who randomly crowned herself as Mrs West Africa in 2010 without winning any competition, began visiting and deceiving diplomats and ministries and posting images on her facebook claiming she was the winner of Miss West Africa. One would have to be very deluded to simply buy a crown and claim they won a pageant. There was no reference of her participation in any event anywhere. Her motives was strictly based upon viewing the immense growth of the official Miss West Africa pageant and utilizing the popularity for self gains. If at any point one is in doubt about our accusations, simply find her on social media and question if our allegations are false and request evidence or images of where and when she won her title. However, things got worst when it came to our attention that she was now the event organizers for Mrs West Africa USA and Miss West Africa USA. Which was a direct conflict with our very own Miss West Africa USA branch. We reported the fraudulent act to her web server as well as facebook based on our internationally recognized franchise ‘Miss West Africa’ which forced her to remove all infringements. 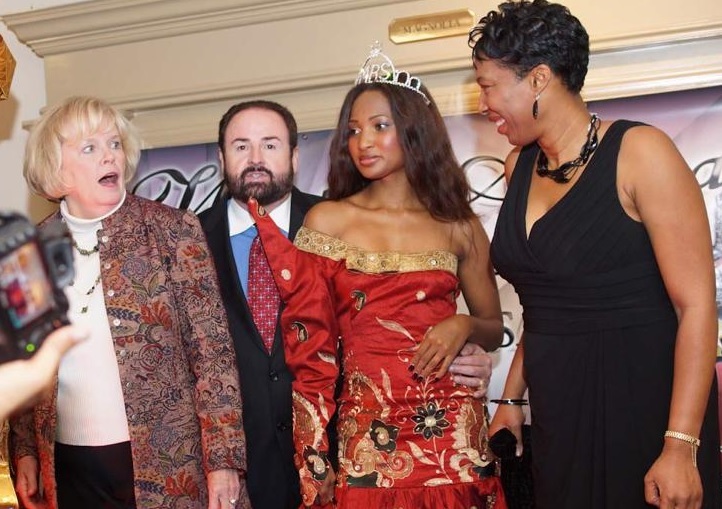 However, Euriel I. Mazagwu, the deluded false queen did not stop, she simply continued with Mrs West Africa and Miss Teen West Africa of which we didn’t dispute. Roughly a few months later she reappears with Ms West Africa USA, simply by changing Miss to Ms. It is rumoured that the false titles are only being given to other Nigerian associates of hers. The events are not promoted nor advertised, but organized amongst her associated with a few images taken and promoted as if a ceremony was executed. At this point we attempted to contact her to find out what her problems could be, and if there was any chance to work together. As we know in many cases rivalry (despite her being in the wrong) doesn’t benefit both sides if there can be mutual agreement. However the fraudulent queen will pick up the calls and upon recognizing it was from our office she would hang up. The conflict became petty, and when we questioned our Miss West Africa USA organizers about her 2 years ago, she told us that the issue is not anything to worry about as it only exists within a small circle of Euriel Mazagwu friends. 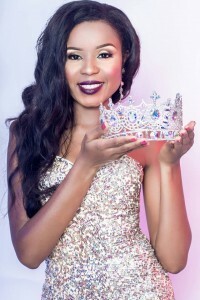 With the rising popularity of Miss West Africa International, with 10 regional competition across various countries in Africa, 18 participating representatives in our international competition, the fraudulent pageant organiser has now changed her competition from Ms. West Africa USA to Ms West Africa International, continuing to deceive the public upon our achievements here in Africa and around the world. Not only that, but she is sending her activities to publications that have continued to support Miss West Africa as though her news is from our base. She is using this confusion to deceive sponsors, ministers, media, and the unfortunately girls she is collecting money from, whom are not rewarded their promised prizes as some have informed us. It is puzzling Why Africans would work to destroy what other Africans work hard to build. How does a woman see an existing competition, buy a crown and go to charities and tell them she was the winner when she was never even an applicant? Miss West Africa is a principled pageant that began in 2008. Our popularity rose in 2009 when we held the biggest pageant event in UK. It was created to support charities in Africa, boast the confidence of African women with our natural hair program, all whilst promoting charity. So it is puzzling why this lady would apply efforts to deter our competition in USA. It is a backwards approach us as Africans understand and work against as a community if we want any respect on a global scale. All supporters, applicants, associates, charities, diplomats, companies and sponsors that are aligned with this woman need to question her about her honestly, sincerity, and integrity. Because any lady that falsifies a pageant from simply changing Miss to Ms, all whilst randomly crowning herself, as well as not giving girls their due prize is a scam and con artist, benefiting of others hard work. We will continue to pursue this issue but kindly ask all those involved to disassociate themselves and share this message. Her aim is to use our establishment and branding to satisfy her financial objectives. 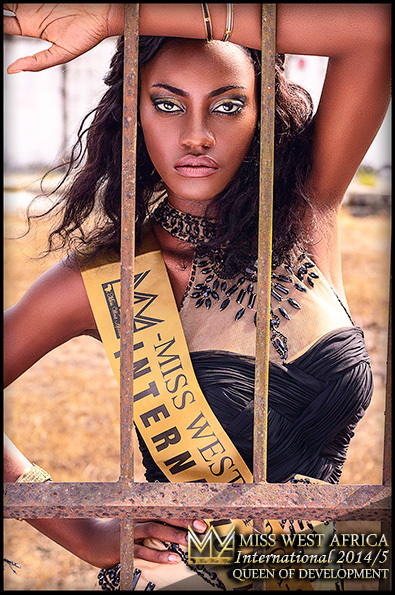 With that said Veronica Numesubo Asikiya is not Miss West Africa International, she is a victim of a con artist. The current Miss West Africa International is Florence Epee from Cameroon.